Home / jio apps / jio chat / jio chat vs WhatsApp / How Jio chat app is better than WhatsApp !! 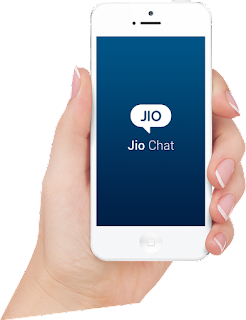 How Jio chat app is better than WhatsApp !! Reliance Jio 4G was launched its own home - grown communication app "Jio Chat" to the masses. This is in reply to the popular foreign application WhatsApp which has been used worldover and particulary by crores of Indians. This Make in India initiative app is now available to download and install on the android play store & IOS app store. Visit The Play Store...Type Jio Chat...Download & Experience the VOIP Clarity. It's better than WhatsApp and Facebook. "Today our PM Modi ji spoke a slogan of Made In India. Come lets start with using "jio chat" an Indian app instead of using the American app WhatsApp. It is the first Indian social media app. Think about it...Even the Chinese have refused WhatsApp and adopted the Made in China "WeChat", when we are going to start?? Use Whatsapp for one year & stop it! Its one year cost is 56 Rupees, and In India there are 20crore Indians....If we use WhatsApp then 20crore × 56rupees=1120crore rupees will go outside India, to create awareness please send this msg to everyone & download "Jio chat" ," said a message doing the rounds on social media circles. 🔸The most important thing, it works same as WhatsApp & the interface is also like Whatsapp only..
Now you know why Jio Chat is better than WhatsApp! Have more reasons? Share them with us.